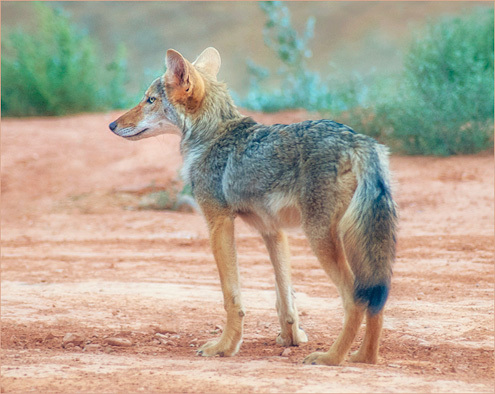 The Daily Coyote » Blog Archive » Before He Grew Into His Nose…. one year ago: Even Charlie Wonders…Will We Ever See Flowers Again?? two years ago: A Book & A Birthday! Hahahaaa… O lord how I remember those gangly “I’m growing into myself days” – so awkward – but, he grew into such a beautiful coyote with a beautiful soul. All legs and fur. Gangly teenager. Paint him all black and that was my Ramses.